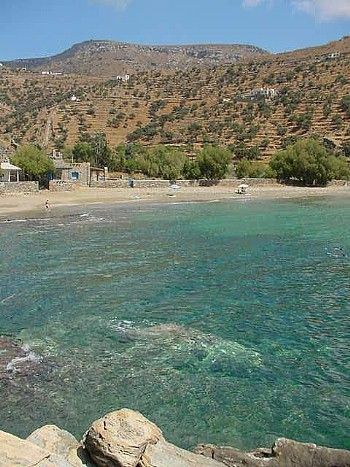 Kambi is a medium size beach with clear blue-green waters, sand and some patches of peebles and stones. 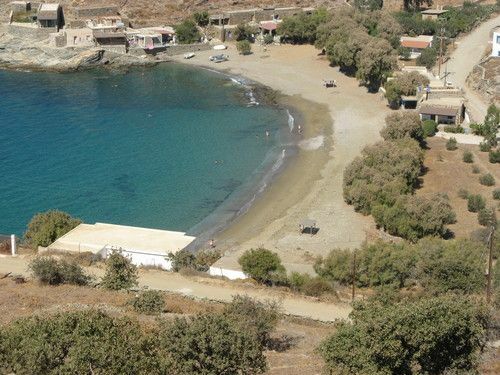 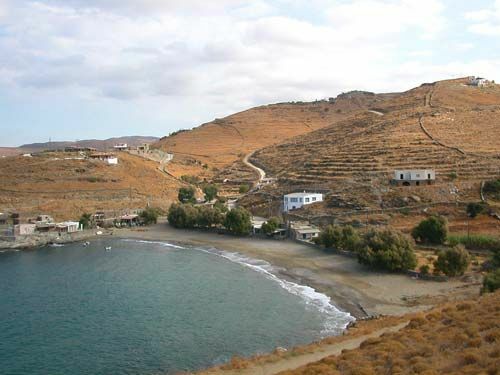 It is not organised but has e few trees for shade, a nice taverna and a few summer houses around. 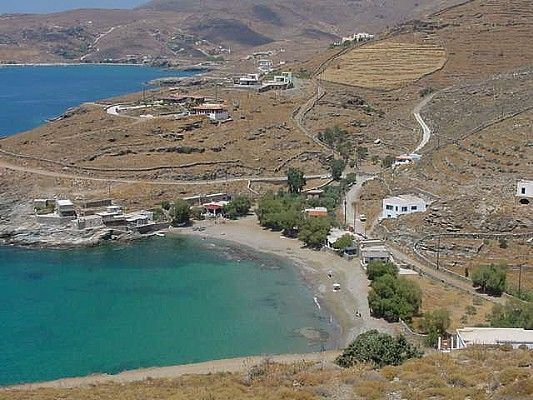 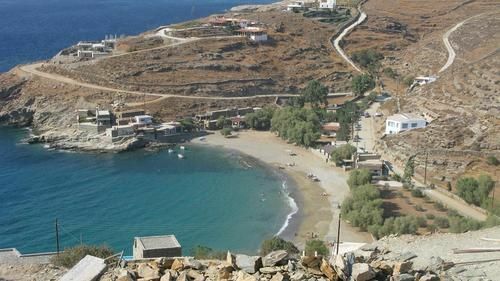 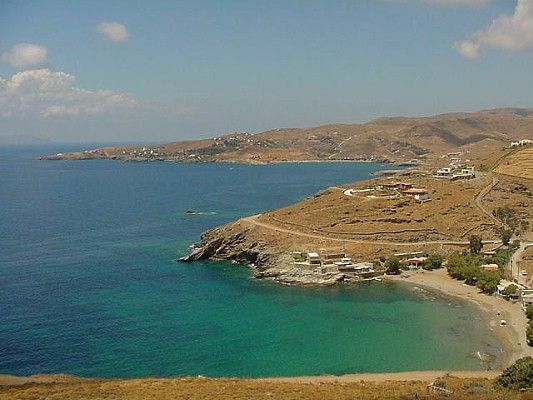 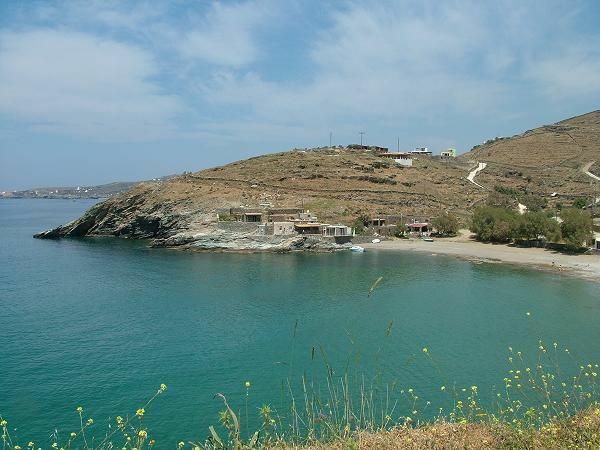 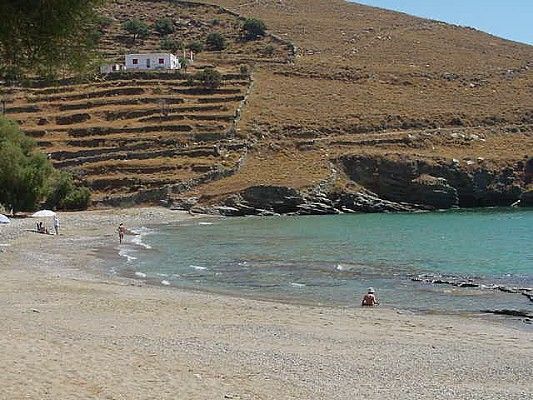 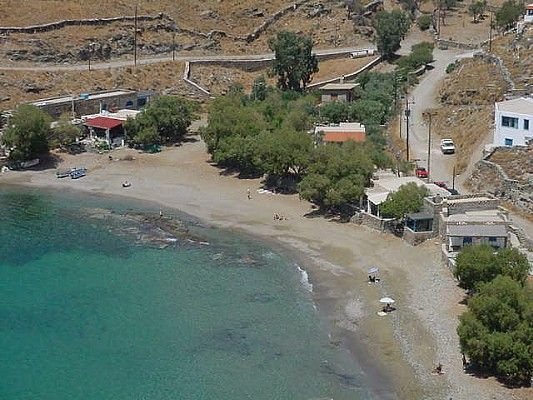 It is located in a cycladian landscape surrounded by mountains and cliffs hanging over the sea, at approximately 18km distance from Ioulida (capital), at the southwestern coast of Kea, after Koundouros.